While you're volunteering abroad with ILP, you can spread your service to more than just the classroom. Here's what some of our volunteers have been doing recently. Our volunteers are awesome. You guys really are. And assuming you're awesome, you should be an ILP volunteer too! When you're going abroad with us, you spend some time (20 hours per week) working with little children for 3-5 months. Ask any past ILP volunteer - it's rewarding, but man are those kids exhausting! I think the thing that keeps our volunteers coming back for more and more is how much of an impact you can make during just one short semester. You can change the lives of others and your own - forever. That leads to volunteers wanting to find more things they can do to make a difference while they're living abroad. And this is on their own! During their own free time they're out doing amazing things in their communities. Props guys. You can make an impact just by saying "hello!" (or something as simple as bringing along a Polaroid camera). As a foreigner, you're going to stick out and be noticed. You can quickly leave an impression by simple saying hello and smiling at a stranger. Or, if the moment is right, sitting and talking with someone new. 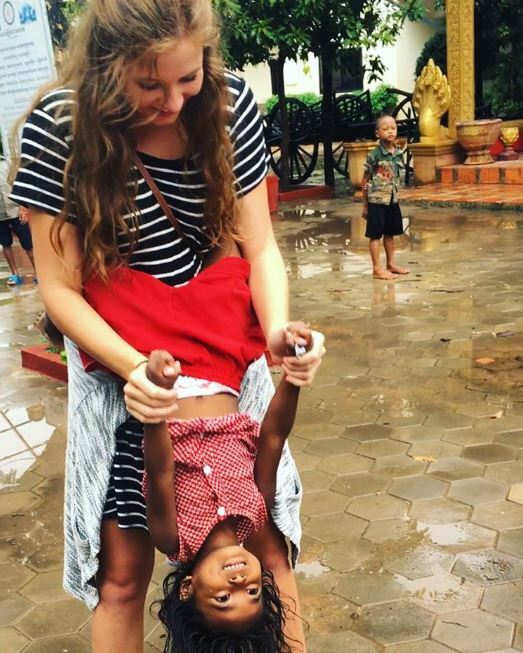 Carly and her group took some time to play around a little with the Cambodia children who were selling items on the street. "My new goal is to be able to help children all over, like this sweet girl here, to no longer be exploited for money and to give them the opportunity to have a childhood they deserve. So glad we were able to play with and love the two little girls we met in Cambodia. It broke our hearts to leave them but made our hearts full to be able to put a smile on each of their faces." 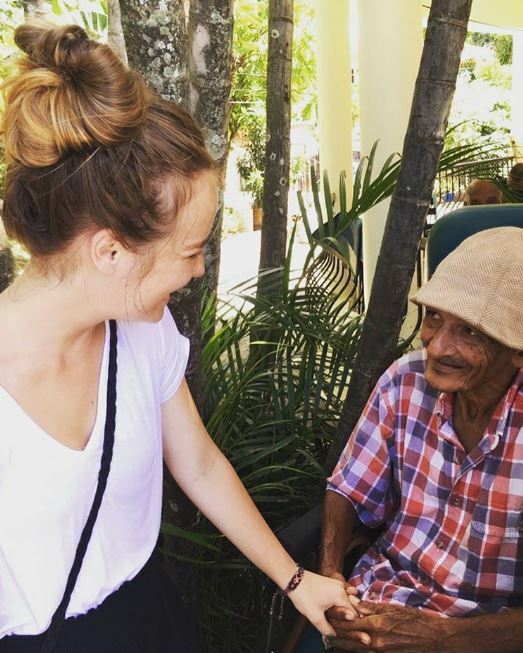 The group who is volunteering in the Dominican Republic went to visit a local retirement home and spent the day giving of their time and their smiles. "We got to visit the old folk's home today and this cutie just wanted to hold my hand. Raphael stole my heart." Another ILP DR volunteer was able to make an enormous difference just by buying a single movie ticket for the sweetest 70 year old man. In the Dominican Republic, we are in touch with an amazing organization, Dominican Starfish Foundation, who builds home for those in need. They actually were a part of ILP starting our volunteer program in the D.R. Our group of ILP volunteers took the chance to help paint a new home that was being built by that organization. "Today I had the opportunity to paint one of the Dominican Starfish Foundation houses. Before this family moved in they did not even have a toilet or other day-to-day-things we take for granted back home. I just am so grateful to be here experiencing and learning so much. I definitely wish I could do more to help everyday but I'm grateful for every opportunity I get and I couldn't be happier to be alive." Another ILP group fundraised enough money to help out their sweet cook Tamaris — read more about that story here. Some groups have gotten big trash bags and gloves at their local grocery store and brought it with them on walks to the beach or their favorite ice cream place. On your walk, just pick up the trash you see to help clean up the streets (literally). This is a great option because it's something you can do consistently throughout your semester and it doesn't take much organizing. Just grab a few things from your store and start making a difference. "One time when I was in the DR I offered to play a little concert for our neighborhood. It was nothing crazy; we had planned it the day of, and I literally just started sight reading Disney songs from a beginner’s play-along book I had brought with me. I felt a little embarrassed about the whole thing to be completely honest, because I hadn’t expected so many people to show up at the last minute. 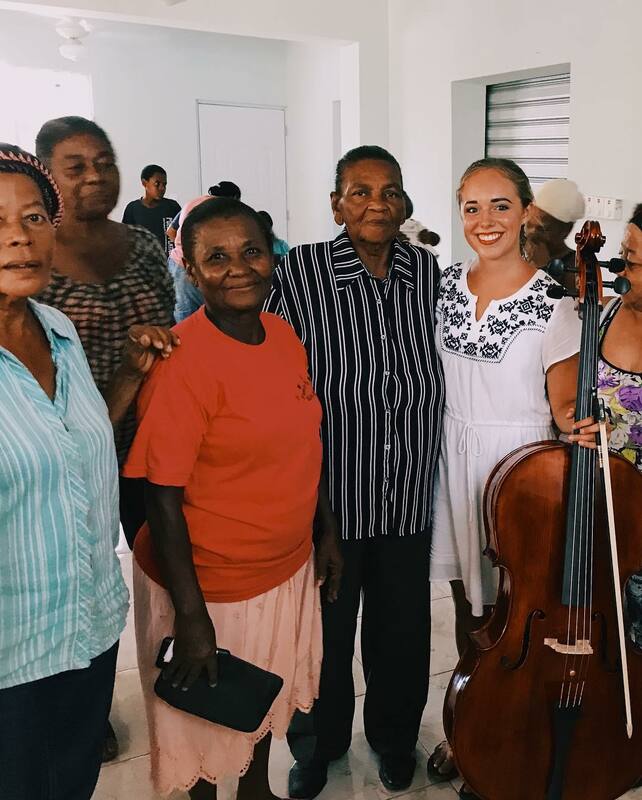 But there they all were, squeezing as many people as they could fit into the community’s little distribution center because it was the first time they’d ever get to hear a live cello! I probably only played for about 30 minutes before I noticed some of the kids getting restless, so I decided to stop after “You’ve Got A Friend In Me.” After finishing the final note of that song I remember looking up and seeing one of the craziest scenes I’ve ever seen in my life. The room exploded. A bunch of old women were crying legitimate tears. Mothers wrestling with their crying babies were glowing with pride. And all those restless little kids started clapping like their hands were on fire and their lives depended on it. I’ve never felt so humbled by my talents or so grateful for the opportunity to share them. I was practicing some Disney songs on cello today, for only the second time ever, and I started to think back on all that. Those are the kind of moments in life that remind me why I do all this musical stuff, and why I choose to stick with it. That kind of an experience is priceless!! I don’t even know the people in these pictures to be completely honest, but I miss them and their giant hearts. I hope I will see them again someday so I can thank them for the many ways in which they have inspired—and continue to inspire—me." 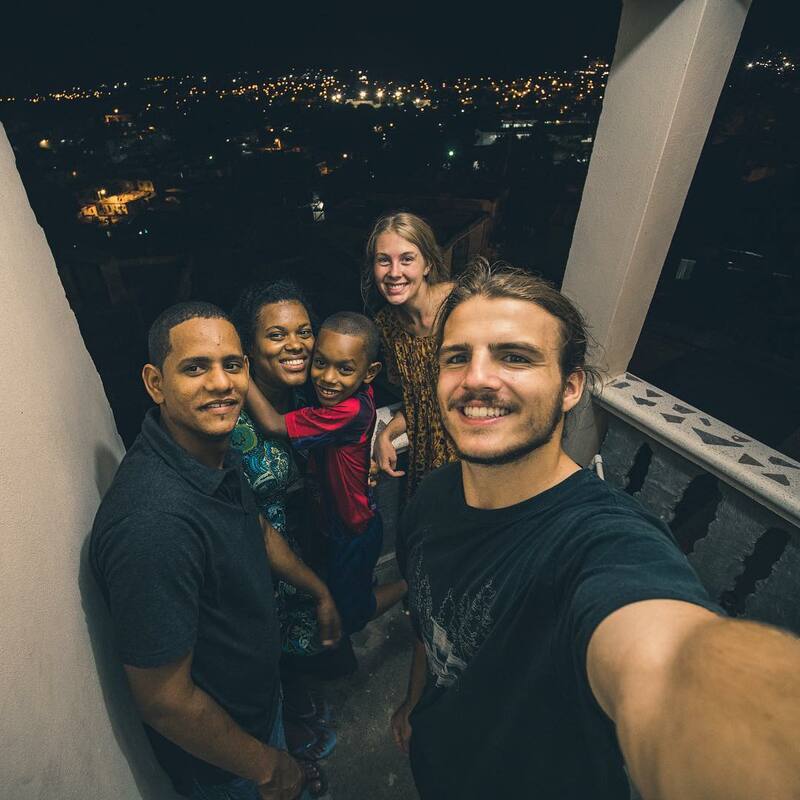 "This is our friend and our personal taxi driver Isaac and his family. He always says “no problem I am at your service you call me night day I am here”. Last night I had the honor to take him and his wife and son out to take their family photos. They have never had photos taken of them other then on their phones. Tonight they invited us to their home for pizza and to see the photos, the look on their faces was the best feeling ever. These past two nights will be ones that will forever be apart of my memory and I’m blessed to be able to have experiences like these." One ILP China volunteer noticed the kids she was teaching could do with a little more service — she fundraised enough money to provide dental hygiene kits for her kids. You'll want to see cute pictures from this service experience! Just noticing a need and being proactive about fixing the problem is a good approach to a small service project. So, how do you find opportunities like these? 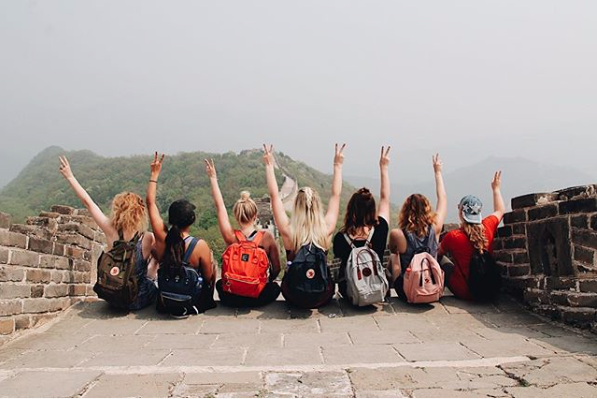 During your semester abroad with ILP, the best thing you can do is get out of your room and explore as much as you can! That sounds like a pretty obvious one right, but it can be easy to crave the familiarity of your room and Netflix binge during your free time. Don't do that! Get out. Walk around. Meet the locals and you'll be surprised by the experiences you run into. Also, talk to the Local Coordinator of your group. They coordinate your school and live there in the country with you. They may know of different things groups have done in the past or perhaps help you find more things around the community where you can serve. Uganda is a little bit of a unique program because we already have special projects set up that you can participate in! You won't have to get as creative to find ways to serve because you can jump right in. 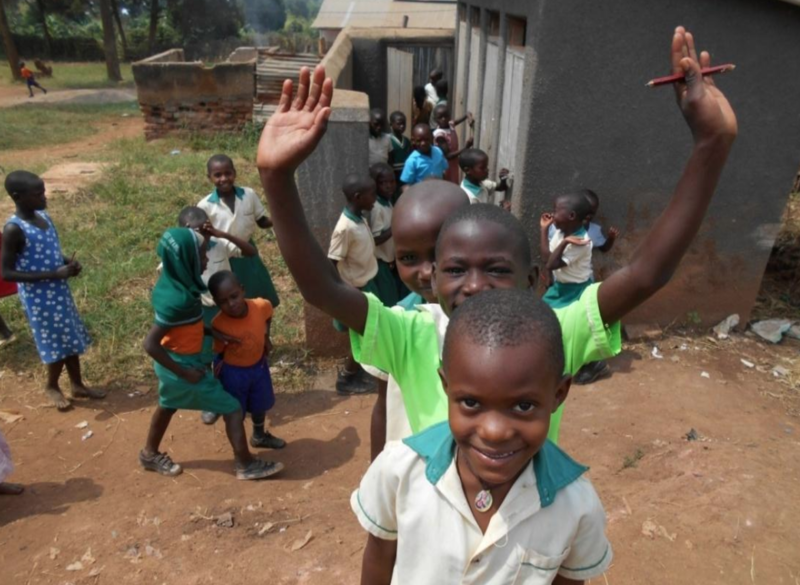 Check out the types of service projects we have going on in Uganda. 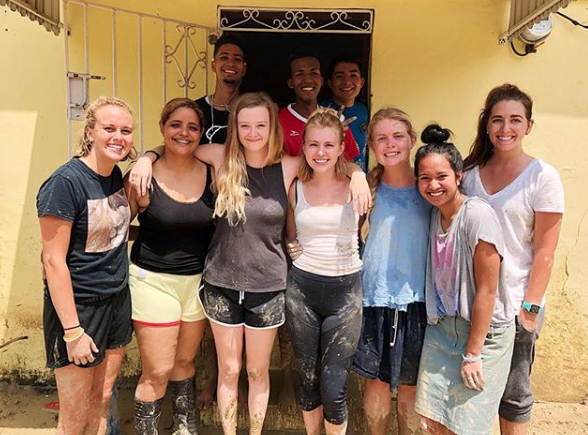 Make a difference in the country you live in for a semester while serving with other college-aged volunteers. It's a service abroad experience to remember, both for you and for all the lives you touch. Learn more about what the ILP experience is like by scheduling a call with a representative. They've already done a semester abroad with ILP and can help answer all your questions about how it works!